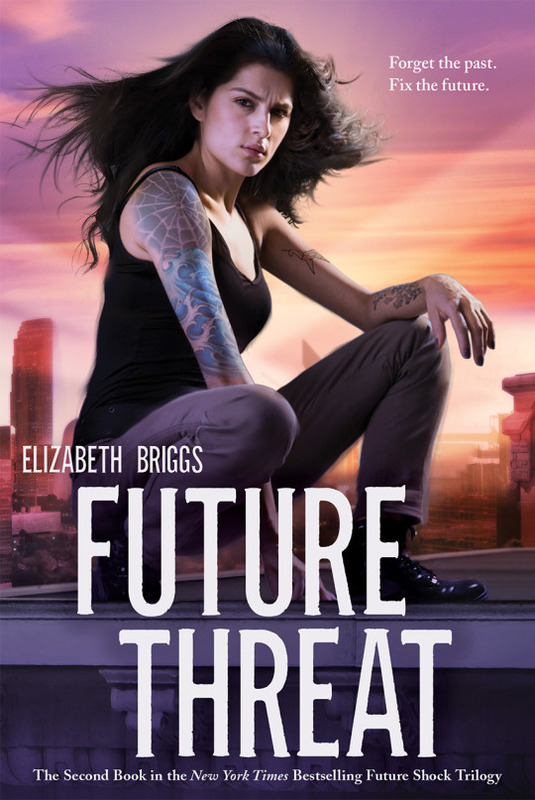 Six months ago Aether Corporation sent Elena, Adam, and three other recruits on a trip to the future where they brought back secret information – but not everyone made it back to the present alive. But Aether’s not done with her – or Adam, or fellow survivor, Chris. The travelers on Aether’s latest mission to the future have gone missing, and Elena and her friends are drafted into the rescue effort. Now every trip through time reveals new complications, and more lives lost – or never born. Elena and Adam must risk everything – including their relationship – to save their friends. There’s friendships, family issues and an actually believable relationship in here as well, and I enjoyed all of that. The plot got more intricate and the stakes were higher as compared to Future Shock.This was my second series involving time-travel this year and I’ve loved it so far. I felt that this book was better than the first, so I’m eagerly anticipating the third, which I’m hoping will be bigger in scale. I recommend this book to fans of sci-fi and time travel, adventure and a strong female main character of colour. For the music, I didn’t listen to anything while reading, so I don’t have a particular recommendation for this. Any futuristic kind of soundtrack should be a good accompaniment, in my opinion. To keep your taste buds busy, I’d suggest some cool fusion food with cuisines of your choice to go with the feel of the book. I just had some warm soup because I had a cold.